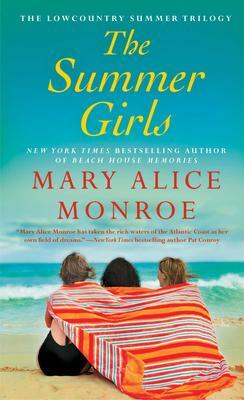 In The Summer Girls, New York Times Best-selling author Mary Alice Monroe weaves a compelling story of three granddaughters who visit their grandmother on her 80th birthday in the old family house they had loved as children on Sullivans Island off the South Carolina coast. The invitation runs to a 3 month stay, so we get the low-down on the troubles that have caused these girls to grow apart over the years. We also watch a number of steps they all make, and the secrets they reveal, to get closer again. It is a beautiful spot and Mary Alice Monroe writes lovingly of the environmental characteristics of this particular coast. This includes the changing light on the ocean and endless fascination of the waves rolling in. Monroe is herself an active conservationist and part of the story tells of the amazing attachment between dolphins and humans. The grandmother has kept her own secrets all these years, so there are revelations all round. It makes for an intriguing summer read. This is the first Pocket Books paperback edition of The Summer Girls and is the second book Monroe has written in what will be the Lowcountry Trilogy.